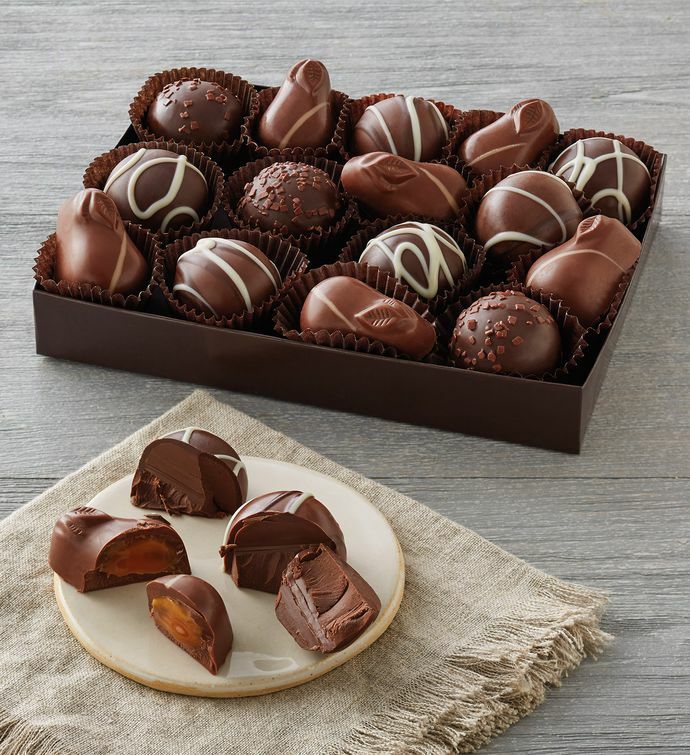 This assortment of classic chocolates from our candy kitchen features several delectable flavors, including dulce de leche, dark chocolate raspberry, and more. Expertly crafted in small batches on our Southern Oregon campus using our signature blend of chocolate, these delights are a rich, decadent treat. Those seeking a premium chocolate gift need look no further.